The LRC saved my life! Quite a sweeping statement, but not one without weight. 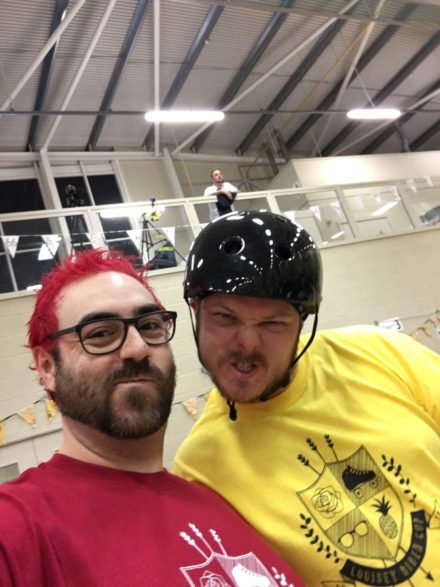 The Louisey Rider Cup is important to Nottingham Roller Derby members for many reasons; chief amongst them being the wish to celebrate the life of Louise and to preserve her memory and the impact she had on everyone at NRD and beyond, even those who came along after. Louise had a very lasting impression on the league as a whole, one that even those of us who never met her feel in a very real way. She instilled in the league an always present drive to do better, to BE better. We are a league that puts emphasis on being positive and happy. Striving to be the very best members of our community and we make sure that we have fun while we do it. In that framing comes the LRC, a celebration of the very best aspects of our sport and community and one that we endeavour to do in a way that Louise would be proud of. It’s not only a celebration of derby but one of athleticism, strength, inclusiveness, fun and the human spirit. A way to bring the very brightest light out of the very darkest of times. Louise by all accounts was a master of making the best out of any given situation. It’s a major part of what the LRC means to us as a league. So…The LRC saved my life! In 2016 I went along to the first LRC as a spectator at the behest of some friends. At the time I was in a very dark place. Suffering from terrible anxiety and depression. I almost stayed at home, but I am very glad I didn’t. I made my way to Lee Westwood Centre expecting very little, I had watched derby before, and it always looked to be a bit…well, ramshackle, 20 odd people in a sports hall bumping into each other with a crap PA playing some early 2000s generic pop punk. 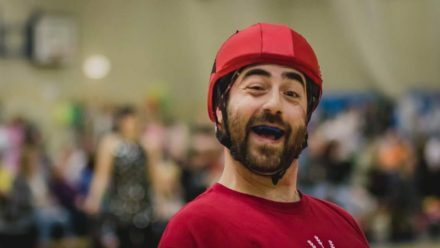 This was different, a literal roller derby Mardi Gras. Colour, glitter, cakes, party games, mass crowd cheers and spontaneous outbreaks of song! It was a party, long before we even got to the actual after party. Everyone I spoke to was super happy, having an absolute blast, and that night I decided that the following year, I would be taking part myself. A stark change from my position of not knowing how or if I would get through the following month. Without the LRC, without Louise, I would never have started my roller derby journey. Without derby, I would never have found the strength to start on my road to recovery. 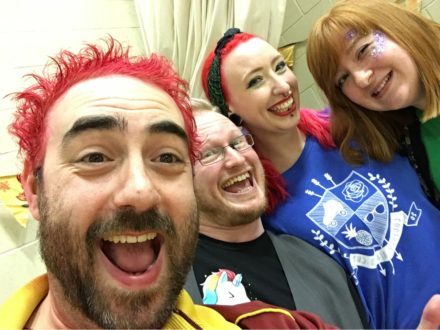 Without that blast of colour, love and fun and all the madness roller derby brought to my life, I would probably not have made it through that year! So yes, the LRC saved my life. It means the world to me. It was the light in the dark and let’s be frank, the more light we bring into this world the better right?